A dry lake site (Howe, n.d.). Photographs of dig and people working at dig. 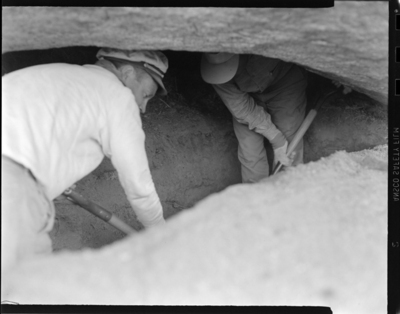 Excavation of two rock shelters by 32 ASA members on March 26-27, 1961 (Redtfeldt, 1962/1984b).